For more than 30 years 1-800-Flowers is providing the finest selection of beautiful flowers and gifts perfect for every occasion. Order flowers, roses, and gift baskets online & send same day flower delivery for birthdays and anniversaries at 1-800-Flowers. Latest 1-800-Flowers promo: Save 25% on your purchase of Valentine's Flowers and Gifts when you use Visa Checkout! Order Now at 1800flowers.com. Use Promo Code: VISA84 at checkout. . Hot 1-800-Flowers Discount: Save 25% off when you checkout using Visa Checkout! Use Promo Code VISA84 at checkout! Shop now at 1800Flowers.com!. . For $29.99, receive Free Shipping & No Service Charges across All Our Brands for a whole Year when you sign-up for 1-800-Flowers Celebrations Passport only at 1800flowers.com! No minimum order size and unlimited deliveries. Exclusive 1-800-Flowers Deal: Save 20% on your purchase of Flowers and Gifts when you use Visa Checkout at 1800flowers.com! Use Code VISA20 at checkout. . Exclusive 1-800-Flowers Deal: Save 20% on your purchase of Flowers and Gifts when you use Visa Checkout! Order Now at 1800flowers.com. Use Promo Code VISA20 at checkout. . Missed Mother's Day? Make it up to Mom with a beautiful gift & Save 15%! Use Promo Code 15MOMSDAY at checkout. Shop now at 1800Flowers.com!. Promotional 1-800-Flowers coupon code: For that special someone feeling under the weather! Save 15% on flowers & gifts to wish them well using promo code GETWELL15 at 1800flowers.com. . Promotional 1-800-Flowers coupon code: Save 15% on Same-Day Flowers & Gifts Delivery Service at 1800flowers.com. Use Promo Code SMEDY15 at checkout. .
Latest 1-800-Flowers promo: Save $10 off purchases of $59.99+ at 1800Flowers.com! Don't Wait to WOW Her! Use Promo Code CUPIDTEN at checkout! (Offer Ends 02/12/2017 or While Supplies Last). .
Congratulate the proud graduate & celebrate their achievement with our brightest graduation flowers & other thoughtful gifts & Save Up to 40% off! No promo code required. Shop now at 1800Flowers.com. Get 30% off when you checkout using MasterPass, a secure digital wallet from MasterCard, at 1800Flowers.com! Use promo code MP30 at checkout! Shop now at 1800Flowers.com. Save 30% on Patriotic Snacks with code: 523MD at ThePopcornFactory! (Valid 5/22 - 5/25). New 1-800-Flowers free shipping offer: Save 25% off plants & share beautiful blooms with Mom this Mother's Day! Use promo code MDAYPLNT at checkout. . Promotional 1-800-Flowers coupon code: Deliver Early for Valentine's Day & Save 25%! Delivery restrictions apply. Use Promo Code DLVRCUPID at checkout. Shop now at 1800Flowers.com! (Offer Ends 02/12/2017 or While Supplies Last). . Hot 1-800-Flowers Discount: Surprise Mom with early delivery & Save 25%! Use promo code MDAYERLY at checkout! Restrictions apply. . Exclusive 1-800-Flowers Deal: Limited Time Only! Pre order for Mother's Day & Save 25%. Use promo code 25MDAY at checkout! Restrictions apply. . Exclusive 1-800-Flowers Deal: Get 25% off when you checkout with MasterPass, a secure digital wallet from MasterCard, at 1800flowers.com! Ends 5/14/17 at 8pm EDT. . The very best Father's Day Gifts are here-everything you need to celebrate all the special dads in your life! Save 20% on this exclusive collection & make him feel loved! Use promo code DADTWNTY at checkout. Shop now at 1800Flowers.com. Shop our Snappy Birthday Sale & Save 20% off select Birthday Flowers & Gifts! Use promo code SNAPPY at checkout. Shop now at 1800Flowers.com. Exclusive 1-800-Flowers Deal: Save 20% off purchases of $49.99 or more & Make Mom's Day extra special! Use promo code MTHR49 at checkout. .
Save 20% off when you checkout using Visa Checkout! Use promo code VISA20 at checkout! Shop now at 1800Flowers.com. Exclusive 1-800-Flowers Deal: Celebrate Easter with a Smile & Save 20% on this exclusive collection of Easter Flowers & Gifts! Use Promo code ESTRBUNNY at checkout! Shop now at 1800Flowers.com!. . Promotional 1-800-Flowers coupon code: Save 20% on Valentine's Day Flowers & Gifts! Don't Wait to WOW Her! Use Promo Code VDAYLVE at checkout! Shop now at 1800Flowers.com! (Offer Ends 02/12/2017 or While Supplies Last). . Exclusive 1-800-Flowers Deal: Last Chance! Save 15% on Valentine's Day Flowers & Gifts! Don't Wait to WOW Her! Use Promo Code CUPIDFFTN at checkout! Shop now at 1800Flowers.com! (Offer Ends 02/14/2017 or While Supplies Last). .
Save 15% on our truly original July 4th flowers, gifts and gourmet treats & share all-American smiles! Use promo code JLYFRTH at checkout. Hot 1-800-Flowers Discount: Save 15% on Flowers and Gifts at 1800flowers.com and be the reason they...smile! Use Promo Code FLWR15 at checkout. .
New 1-800-Flowers free shipping offer: Save 15% on Birthday Flowers and Gifts at 1800flowers.com. Use Promo Code BDAYFLWR15 at checkout. .
New 1-800-Flowers free shipping offer: Save 15% on Same-Day Sympathy Flowers and show a special family member that they are in your thoughts & prayers. Use Code SYMPTHYFFTN at 1800flowers.com checkout. .
Congratulate the proud graduate & celebrate their achievement with our brightest graduation flowers & other thoughtful gifts & Save 15%! Use promo code GRADFFTN at checkout. Shop now at 1800Flowers.com. Exclusive 1-800-Flowers Deal: Celebrate Administrative Professionals Day by recognizing your office superstars and Save 15%! Use promo code ADMNFFTN at checkout. Shop now at 1800Flowers.com!. . 1-800-Flowers is a top retailer of floral displays and gift items, gaining attention through its unique internet and direct sales telephone marketing tactics back in the 1990s. 1-800-Flowers has grown beyond its roots and now offers everything one could need for any special occasion. Featured products include gift basket arrangements and floral arrangements for various occasions. Products can be sorted by price range or whether or not they’re a featured product in a specific category (such as a particular holiday item or a type of flower). 1-800-Flowers’ sister companies include 1-800-Baskets, Fruit Bouquets, Cheryl’s, Fannie May, and the Popcorn Factory. Gift cards purchased at 1-800-Flowers can be redeemed at 1-800-Flowers sister companies as well. Products can be ordered and shipped internationally. Visit 1-800-Flowers website to see a full list of countries that you can ship to. As of right now, over 195 countries all over the world are available to receive 1-800-Flower products. 1-800-Flowers offers more than just flowers, although flowers are an important part of 1-800-Flowers mission. 1-800-Flowers offers thousands of products in a variety of categories. Some products offered by 1-800-Flowers offer customization for specific products, including personalized gift items for specific products, including personalized gift items. 1-800-Flowers does offer gift guides and special collections in order to help customers find the best products for any occasion. 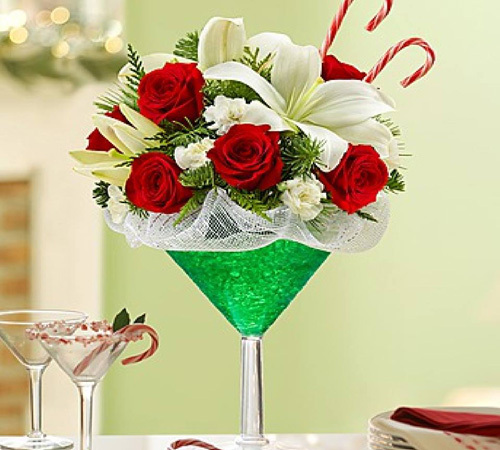 For example, customers can specifically shop for floral bouquets or gift baskets based on holidays or special events. Gift cards can be purchased at 1-800-Flowers, in amounts ranging from $25-100. Gift cards come with free shipping and are sent in a complementary gift box. Every flower is a soul blossoming in nature, acting as the music of ground from earth’s lips spoken without sound. Show your infinite love by gifting precious and beautiful flowers with a spectacular range of The Flower Factory coupons. Add items to shopping cart. View items in cart or proceed to check out. Add shipping and billing information. Proceed to check out. Enter promo codes, if available, at the end of the ordering process. The discount or special promotion should appear automatically. 1-800-Flowers offers an extensive YouTube channel, subscribe to the 1-800-Flowers channel on YouTube. This video, in particular, is a 30-second commercial spot, celebrating all the small moments in life that can be acknowledged with a flower bouquet. From birthdays to getting well, 1-800-Flowers emphasizes that there’s a product for every occasion. Most orders are shipped via UPS, Fed-Ex or USPS. All items will be shipped in a box with a personalized message, if selected, appearing at the front of the box. Some restrictions may apply when shipping to funeral homes, hospitals, or rural routes. Shipping to schools can also not be guaranteed. Wine orders are also restricted in several states so it’s recommended that you review the FAQ before attempting to make a wine order. 1-800-Flowers offers an extensive FAQ for most customer service inquiries. However, customers can opt to call or email a customer service representative for more specific inquiries. Customers, if need-be, can also get in touch with 1-800-Flowers’ team of funeral and sympathy advisors. 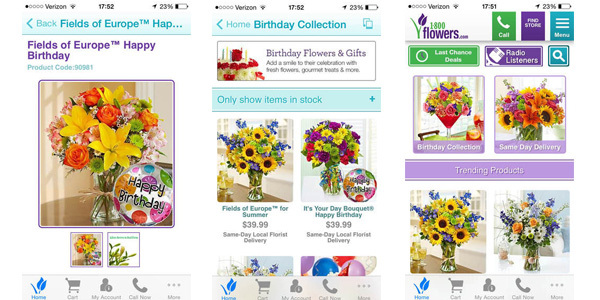 1-800-Flowers offers a mobile app available on iOS and Android devices. Through both apps, customers can browse 1-800-Flowers’ extensive catalogue and order products using their own mobile devices.